Stop by RV World MI to bring this amazing 2019 Keystone Premier 30RIPR home! Find this Travel Trailer and other exceptional RVs when you visit us at 7834 S Division Grand Rapids Michigan 49548! 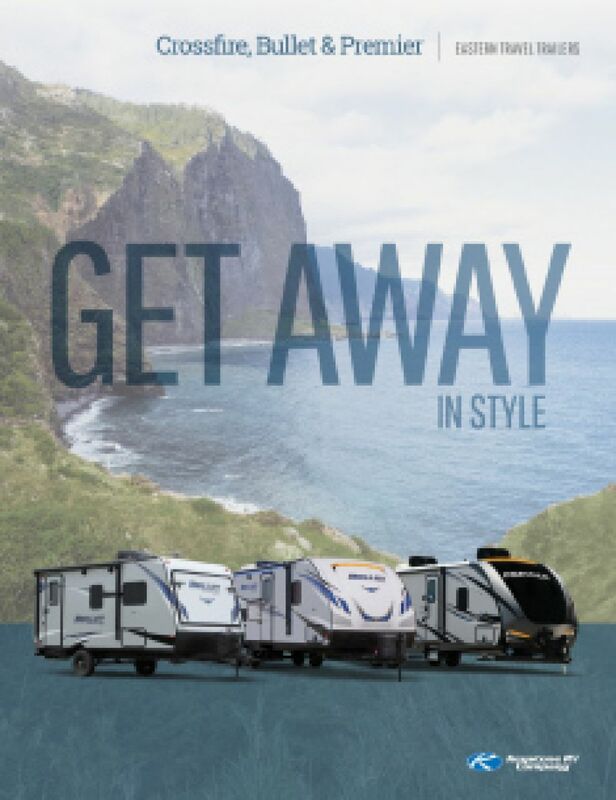 Call us at 616-591-3632 to talk to one of our RV experts today! You'll be able to tow this RV with ease, with its GVWR of 8200 lbs, dry weight of 6870 lbs, and hitch weight of 865 lbs. Enjoy the cool shade of the 20' 0" awning! 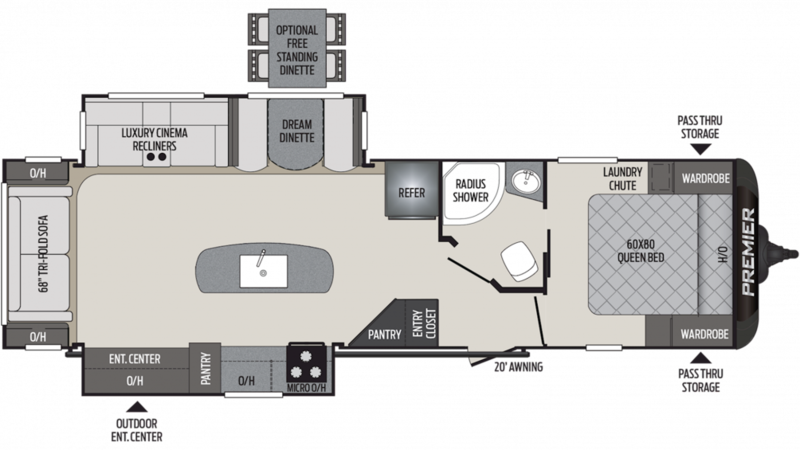 There's so much space inside this 8' 0" wide, 35' 11" long RV, and it's even roomier when you slide out the 2 slides! With its height of 11' 2", you won't have to worry about bumping your head! The living area maintains a stable temperature with the 30000 BTU furnace and the 13500 BTU a/c! If you want your family to eat healthy, nutritious meals when you're on the road, then you'll love the fantastic kitchen! You'll cook up great breakfasts, lunches, and dinners with the 3 burner range cooktop, using all your favorite foods that you can stock in the 8.00 cu. ft. refrigerator! Enjoy clean water throughout the trip, thanks to the 43 gallon freshwater tank! Instead of trekking to the cold, damp, messy public campground restrooms, you can start your camping day in the comfort and privacy of your own personal bathroom included in the Premier 30RIPR! It has a roomy, modern shower, a handsome sink vanity, and a sleek, sanitary Foot Flush commode. And you'll have all the hot water you need from the 43 gal. freshwater tank, heated by 40 lbs. of LP tank capacity!